Recent Arrival! 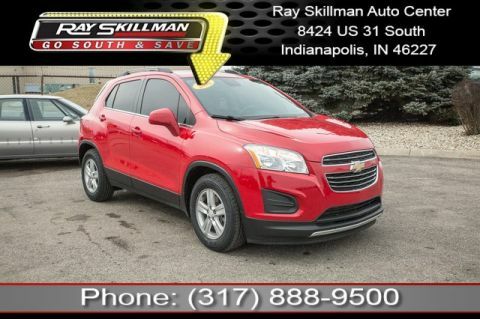 2017 Chevrolet Trax LT Crimson Metallic This amazing 2017 Chevrolet Trax LT comes fully equipped with tremendous features such as: Bluetooth Connectivity, USB Adapter, WiFi Hotspot, SiriusXM Satellite Radio, Rearvision / Backup Camera, and More! 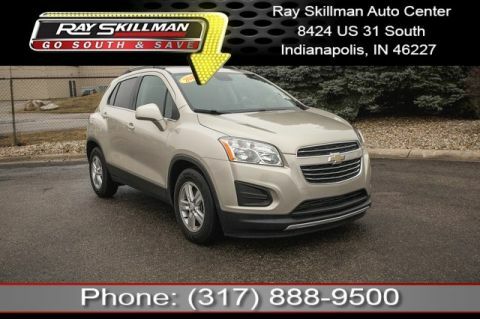 Excellent Condition, Ray Skillman Certified. 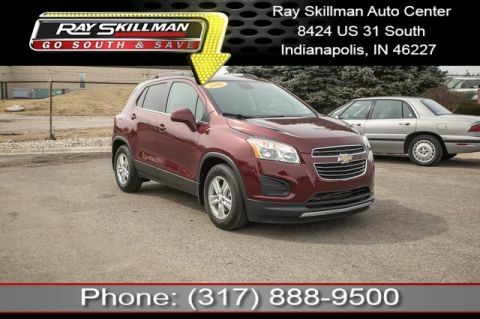 Reduced From $16,988! Fuel Efficient 24/30 City/Highway MPG! TRANSMISSION, 6-SPEED AUTOMATIC (STD), ENGINE, ECOTEC TURBO 1.4L VARIABLE VALVE TIMING DOHC 4-CYLINDER SEQUENTIAL MFI (138 hp [102.9 kW] @ 4900 rpm, 148 lb-ft of torque [199.8 N-m] @ 1850 rpm) (STD), AUDIO SYSTEM, CHEVROLET MYLINK RADIO with 7' diagonal color touch-screen, AM/FM stereo with seek-and-scan and digital clock, includes Bluetooth streaming audio for music and select phones; featuring Android Auto and Apple CarPlay capability for compatible phone (STD).